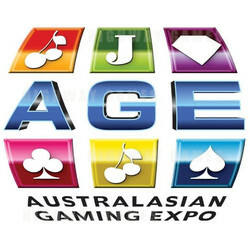 Australasian Gaming Expo (AGE) is a three day event which will be held from August 15-17, 2017 at the ICC Darling Harbour in Sydney, Australia. The 2017 expo will witness about 150 exhibitors. The most frequent exhibitors will be manufacturers, distributors, exporters of gaming equipments, Allpride Signs & Marketing, Aristocrat Technologies Australia, Bergstrom Architects, ICU Security Cameras, Good Nuts, Global Payment Technologies Australia, Harcor Security Seals, Innova Group, Interloc Lockers & Seating, Rohrig Hospitality, Jensen Data Systems will be some of the companies dealing with products and services in the games and sports will exhibit in the show. AGE was first held in 1990 and has been held every year since. It is the oldest and largest show of its kind in the Asia Pacific region.